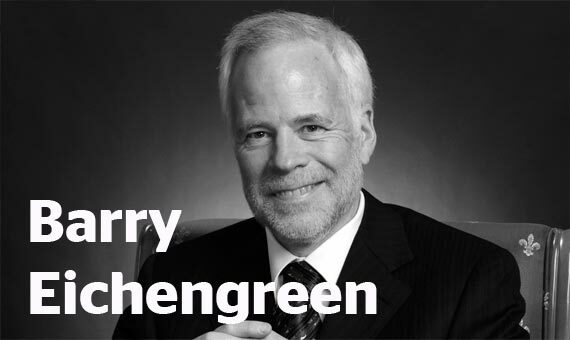 Barry Eichengreen is the George C. Pardee and Helen N. Pardee Professor of Economics and Professor of Political Science at the University of California. He was Senior Policy Advisor at the IMF, he is a fellow of the American Academy of Arts and Sciences and one of Foreign Policy Magazine’s 100 Leading Global Thinkers in 2011. His two most recent books, Exorbitant Privilege: The Rise and Fall of the Dollar and the Future of the International Monetary System (2011) and Hall of Mirrors: The Great Depression, the Great Recession, and the Uses and Misuses of History, were listed for the Financial Times Business Book of the Year. The ECB has moved from part of the problem to part of the solution. At the beginning, it focused single-mindedly on headline inflation, neglected risks to financial stability, opposed debt restructuring and hesitated to embark on quantitative easing even when the spectre of deflation loomed. Now it acknowledges its lender and liquidity provider responsibilities, has shown itself capable of pursuing unconventional policies in unconventional circumstances, has softened its doctrinal opposition to debt restructuring and has assumed additional responsibilities for banking and financial supervision. This chapter traces the transformation.